As construction managers, you can depend on us to act on your behalf to manage all your construction needs. Commercial or Residential, our Project Managers are dedicated to plan, organize, control and lead all project stakeholders to ensure efficiency and project success. Our highly developed construction programs and comprehensive guidelines will make your project a smooth and a stress free experience throughout all stages from pre-design to completion. Our Construction Project Management contracts are governed by CCDC standards to protect our clients. Project management is known to be a combination of art and science and it involves Planning, Organizing, Controlling and Leading. Get to know your project..
Planning is where goals and objectives are set, decisions are made involving predictions based on historical and existing data in order to account for all the possibilities that may affect the project. Then detailed plans are set in advanced on what to achieve and how to achieve it. Organizing involves willpower to complete tasks and activities as planned, and categorizing all tasks and activities into the proper department and divisions, with clear routes of authority and responsibility. Kastone has you covered. All spects of your project. 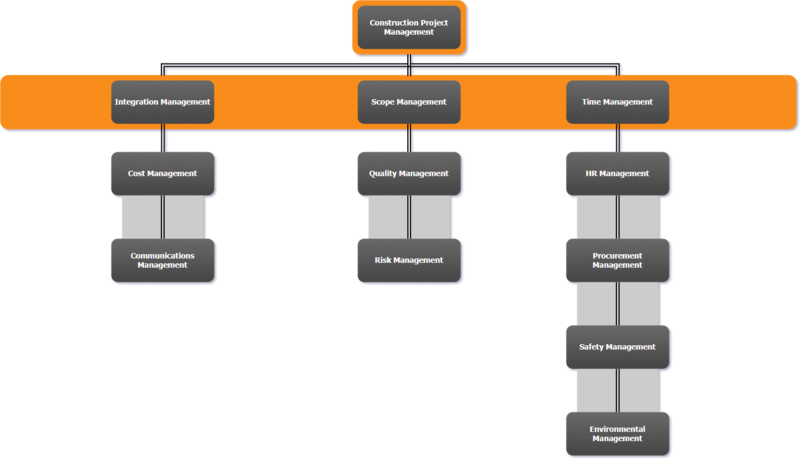 Controlling a project is to measure project health and analyse the status of the project while it is being assembled for the purpose of correcting all deviations from expectations. We cater to each project specifically but are detail oriented to all projects. ​Leading is where the art kicks in. Kastone leads its staff and partners through inspiration, positive influence, directing and motivating all parties involved in a project in order to ensure project success. We do this while maintaining oversight of the entire project.